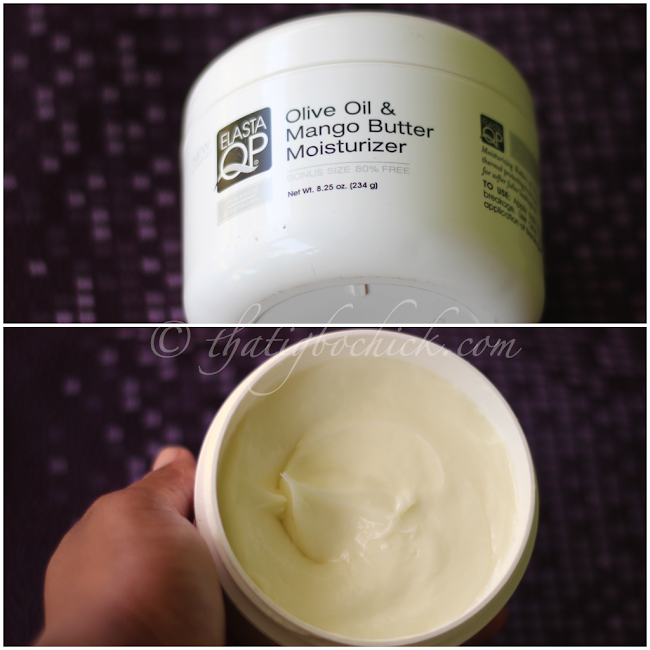 ELASTA QP OLIVE OIL AND MANGO BUTTER MOISTURISER: I have very dry hair and this works wonders. This product is very thick so you don't need that much, a little goes a long way. My hair loves this stuff. I mostly apply this on my edges before I apply gel or edge control. It keeps my hair moisturised and prevents the gel from drying out my hair. 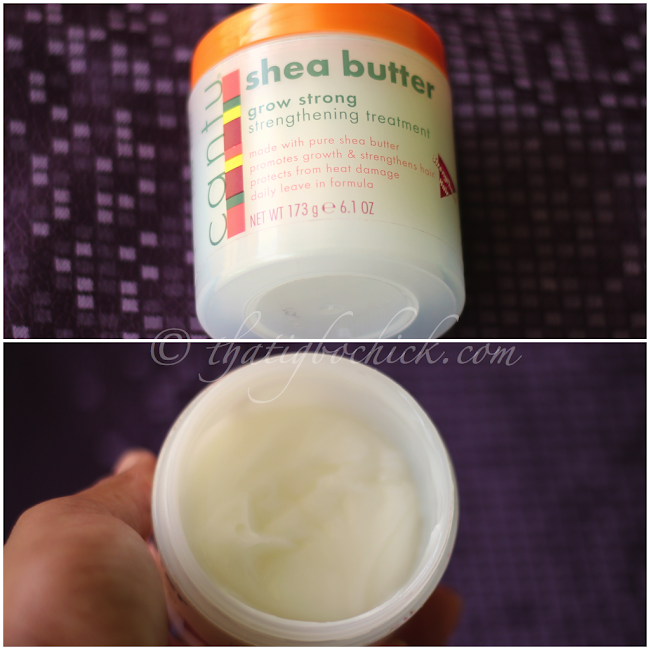 CANTU SHEA BUTTER GROW STRONG STRENGTHENING TREATMENT: I think that this is hands down the best leave-in conditioner I've tried. It is very light weight and absorbs easily into the hair. I love that it does not make my hair feel waxy or greasy..amazing. I don't straighten or curl my hair without using this. 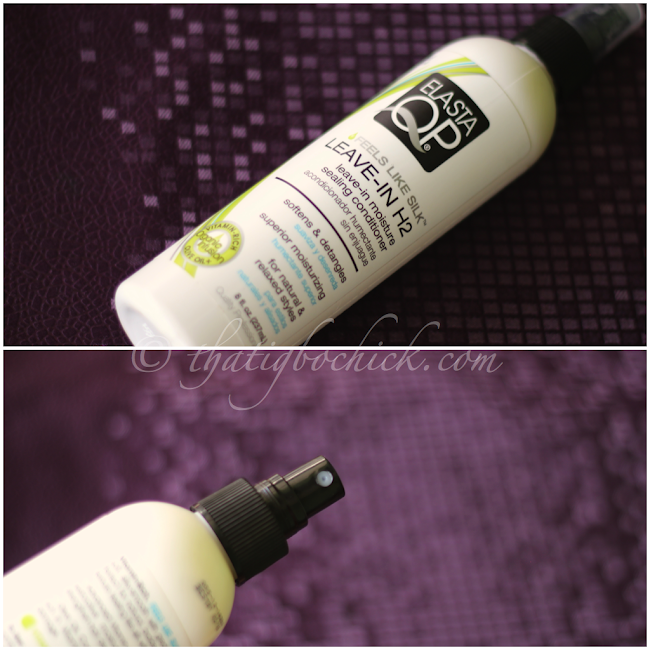 ELASTA QP LEAVE IN H2: This is my go to product when I have braids on. It is a liquid conditioner that comes in a spray bottle. I spray this on my roots before styling my braids and it really does what it says on the bottle (which is moisturise!). I don't recommend this for every day use though especially If you are carrying braids that you are not likely wash. Constant use could lead to product build up and you know how itchy that can get. OKAY 100% PURE COCONUT OIL: This is just good old coconut oil. You can pour this in a jar and put it in the fridge or somewhere cool to make it solid. I personally like mine like this, I use this to seal my hair moisturiser or leave in conditioner. I also add this to my conditioner when I deep condition. Has anyone tried any of these products? My hair itches badly, i think i have done everything possible yet am left with the same challenge. How can you help? But am thinking of trying the coconut oil plus its cost effective and nice. Word is, i can produce the oil. I have one big question usage of hair spray will cause any hair damage?? ?